What is the function of your product? It must be indicated on the label of traditional herbal medicinal products that the medicine is a traditional herbal medicinal product whose effect has been established solely through traditional use of the herb. A homeopathic medicine is a medicinal product prepared from substances called homeopathic stocks in accordance with a homeopathic manufacturing procedure described by the European Pharmacopoeia or by another nationally used pharmacopoeia. Homeopathy is not based on the ordinary scientific principles of dose-effect relationship, but on a theory developed in the 18th century by German Dr. Hahnemann, suggesting that an extremely diluted substance, created from repeated dilutions, may treat the very symptoms that the substance would produce when taken in normal doses by a healthy person. In homeopathy, the degree of dilution often follows the decimal scale D, denoting how many times the substance has been diluted ten times. Thus, D6 would indicate that the substance has been diluted ten times its original volume in six stages. 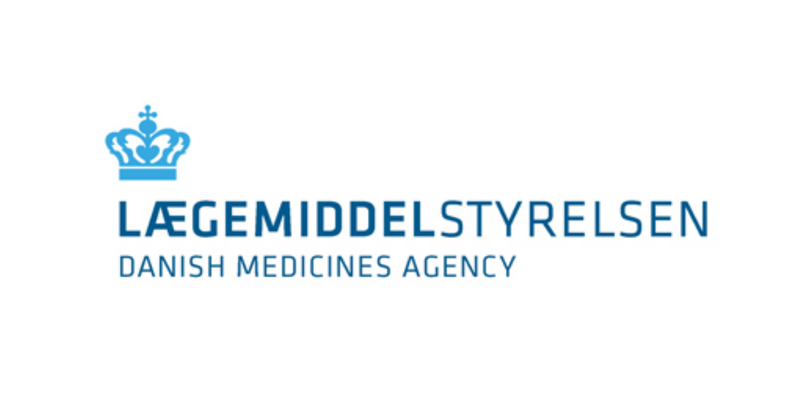 The Danish Medicines Agency imposes requirements on manufacturers of homeopathic products with respect to premises, raw materials, staff competencies, etc. to ensure that products are manufactured in compliance with the special principles that apply to this type of medicines. In Denmark, homeopathic products cannot be approved with an indication of effect. Homeopathic medicines must be notified to or approved by the Danish Medicines Agency before being placed on the market. The general requirements for homeopathic medicines are described in European Directives. The label on homeopathic medicines indicates that the product is a homeopathic medicine. Food supplements are products intended to provide additional nutrients to a normal diet, e.g. ordinary vitamins and minerals. It could also be oils with a high content of essential fatty acids. Food supplements could also be products that have a physiological effect, e.g. slimming products or stop-snoring products. It could also be products that improve skin, hair and nails or products that improve memory or strengthen the immune system or ease fatigue. However, food supplements do not include products sold to cure diseases, because such products would be classed as medicinal products. Food supplements must comply with the Danish Food Act and the Danish executive order on food supplements. Food supplements need not be approved before marketing, but all food supplements must be notified to the Danish Veterinary and Food Administration for registration. You can read more about food supplements at the website of the Danish Veterinary and Food Administration. Animal feed is compound feeds, such as complete feeds, complementary feeds, mineral feeds, milk replacers, molassed feeds, dietetic feeds as well as the ingredients contained in these compounds. Compound feeds are composed of feed materials such as cereals, soybean meal, feed salt and hay as well as feed additives like vitamins and trace elements. The Danish Plant Directorate administers the legislation in the area of animal feed and monitors compliance with the law. You can read more about animal feed at the website of the Danish Veterinary and Food Administration. Biocides is a collective term for chemical substances designed to control harmful organisms, algae, bacteria, fungi in woodwork, etc. The Danish Environmental Health Protection Agency administers the biocides authorisation scheme pursuant to the provisions of the Danish Act on Chemical Substances. It must be sufficiently effective for the purpose intended. The Danish Environmental Health Protection Agency administers the legislation in the area of biocides. You can read more about biocides at the website of the Danish Environmental Health Protection Agency. Cosmetics cover products for personal care, e.g. products for enhancing the appearance or odour of hair, skin, teeth, etc. like shampoo, soap, lotion, toothpaste, sun products, hair removers, make-up, dental whitening agents and deodorants. Cosmetics do not need to be approved before they can be placed on the Danish market, but they must comply with the provisions of the Danish executive order on cosmetics, which is administered by the Danish Environmental Health Protection Agency. You can read more about cosmetics at the website of the Danish Environmental Health Protection Agency. Medical devices means equipment used for the diagnosis, treatment or easement of a disease in humans, e.g. syringes, surgical instruments, pacemakers and crutches, etc. The manufacturer is responsible for ensuring that medical devices fulfil the safety and performance requirements of the law. There is no requirement for manufacturers to obtain a marketing authorisation from the Danish Medicines Agency, which administers the medical devices legislation. You can read more about medical devices at our website medicaldevices.dk.